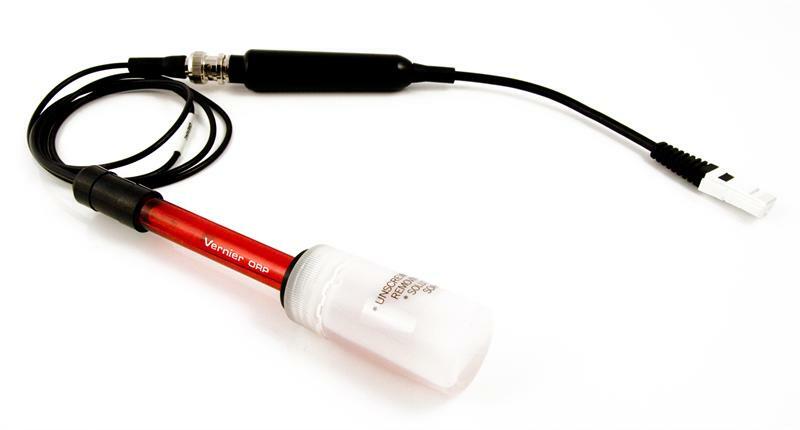 The Vernier ORP can measure redox potential in the range of -450 to +1100 mV. Readings toward the positive region of this range indicate a strong oxidizing agent, while readings toward the negative region indicate a strong reducing agent. The ORP sensor measures the ability of a solution to act as an oxidizing agent or reducing agent. ORP stands for oxidation-reduction potential. For example, ORP electrodes are often used to measure the oxidizing ability of chlorine in swimming pools, or to determine when the equivalence point has been reached in an oxidation-reduction reaction. The ORP Sensor requires a compatible interface and software to collect data. Interface and software sold separately.